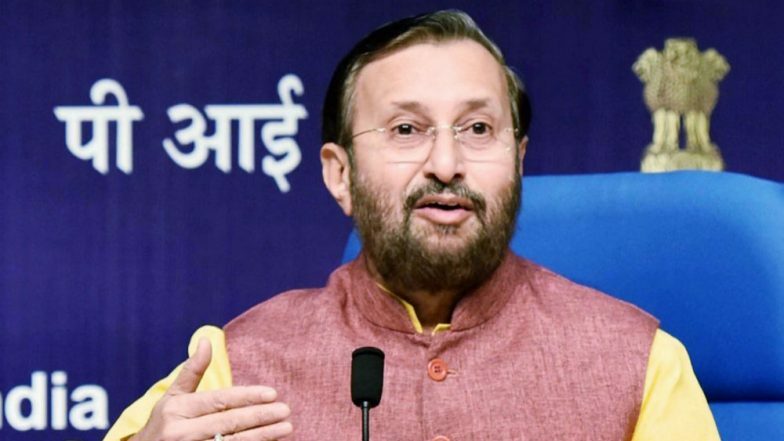 New Delhi, March 18: With the Model Code of Conduct in place, the ready draft of new National Education Policy will have to wait till the announcement of Lok Sabha elections results, informed Union Human Resource Development (HRD) minister Prakash Javadekar. The report has been prepared by the committee, headed by former ISRO chief K Kasturirangan. Sharing insights of the report, Javadekar said, as Hindustan Times quoted, “The report is ready, the Hindi translation is being done. And now I don’t know whether we can publish it with the model code of conduct in force. I am very sure that soon after elections it will come... After all, it [NEP] is to be implemented from 2020 to 2040.” University Faculty Quota: UGC Directs Varsities to Begin Teachers’ Recruitment Immediately As Cabinet Approves Ordinance on Reservation Roster. Earlier, the Union government had granted five extensions to the Kasturirangan panel – constituted last June – so that the report could be finalised. The government had extended the committee’s deadline till December last year and on April 6, June 20th and August 28th this year. It is to be known that the BJP – in 2014 – have announced NEP as their key reform in their manifesto. The former Union HRD minister Smriti Irani constituted a committee under the leadership of former cabinet secretary TSR Subramanian, which had submitted its recommendations in 2016. The country’s national policy on education was framed in 1986 and modified in 1992.